The process of filing Income Tax Returns (ITR) is not as difficult as it seems to be. You may either file your tax returns online or may seek professional help from your chartered accountant or tax advisor. The process of filing your tax returns over the Internet is known as e-filing. You may e-file your tax returns in case you fulfill any of the below-mentioned criteria. You may follow the below-mentioned steps to e-file your ITR without any hassles. 1. Log on to incometaxindiaefiling.gov.in and register online. Use your Permanent Account Number (PAN) as your login ID. 2. Go through the Form 26AS, your consolidated tax statement. 3. Under theIT return forms, select theongoing financial year and download the relevant e-ITR form. 4. Use excel utility to fill the necessary details as mentioned in your Form 16. 5. 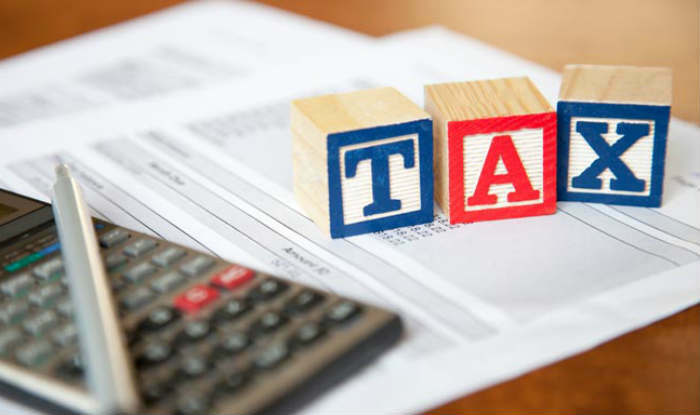 Click ‘calculate tax’ and pay the applicable tax. 6. Fill the online challan, and confirm your details by clicking ‘validate’. 7. Generate an XML file, save it, and upload the same on the ‘upload return’ option. 8. Digitally sign the XML file, if you have a digital signature. 9. Post this, you may view and download the ITR Verification (ITR-V) and acknowledgment form. 10. Take a print of ITR-V and sign it in blue ink. 11. Send the signed form to the Income-Tax Department-CPC located in Bengaluru. Remember, you must post this form not later than 120 days of e-filing your tax returns. It is necessary to have the right information and thorough knowledge of income tax details such as deductions, income tax exemptions, tax slabs, and e-filing process to be a smart taxpayer. It is also necessary to be aware of the income tax rates for the Assessment Year 2017-18. Annual income below INR 2.5 lakhs does not attract any income tax. Those in the slab of INR 2.5 lakh up to INR 5 lakh have to pay tax at the rate of 5%. Income tax rates for people earning between INR 5 lakh to INR 10 lakh is 20%. Individuals earning INR 10 lakhs and above pay taxes at the rate of 30%.